Accuracy, precision, ergonomics and efficiency are of the utmost importance when it comes to choosing your pipettes. One of the most significant advances in pipetting technology was the advent of the electronic pipette, which has revolutionized liquid handling in the modern lab. The electronic pipette is used routinely in all types of laboratories from academic settings all the way to pharmaceutical laboraotroies and state of the art research labs. Pipettes come in a range of shapes and sizes, and with a variety of different technologies incorporated into their design, enabling scientists to find the best fit for them. 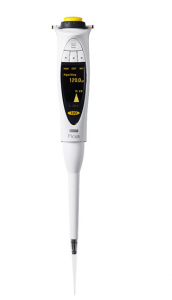 Introducing the Sartorius Picus Electronic Pipette – the Red Dot awarded electronic pipette that eases your work load, protects you from injuries (repetitive strain injury or RSI) by ensuring optimal working posture and enables accurate and precise pipetting results. 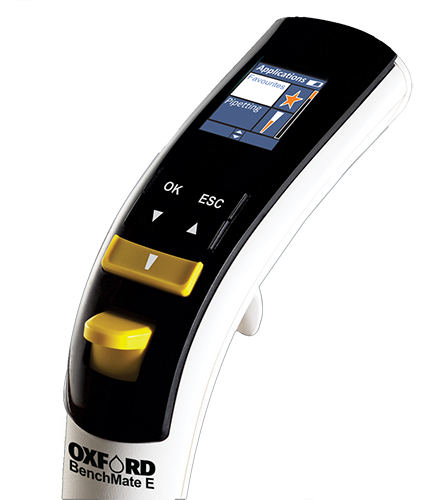 Laboratory professionals need instruments that are ergonomic, easy to use and reliable every single time they are used. To meet these needs Sartorius Biohit, who is known as a forerunner in liquid handling products with a long-standing history in developing high quality pipettes, has now set a completely new standard for electronic pipettes with the Sartorius Picus Electronic Pipette. Designed based on the proven Eppendorf PhysioCare® Concept, the Eppendorf Xplorer Plus redefines the electronic pipette line from Eppendorf liquid handling. No more delays due to complicated programming or inflexible processes; the Xplorer Plus was designed to provide optimal support for you during your pipetting work and save you precious time in the lab. Product features include; reduced weight, programming of multiple modes in a sequence, setting of fixed volumes, password protection, history function and service interval warning. If you have been a fan of the Eppendorf PhysioCare line or are looking for a new and ergonomic electronic pipette this is the pipette for you. 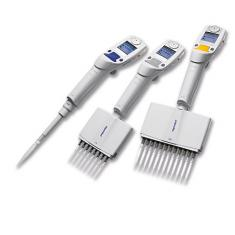 The Eppendorf Xplorer Plus Electronic Pipette was developed to exceed the high standards already set by the Eppendorf Xplorer. This expanded version offers exciting extras such as intelligent applications, adjustable fixed volumes, individual programming and a history function to make it much easier and faster to complete your lab work while simultaneously maintaining an extremely high degree of accuracy. The Eppendorf Xplorer Plus is the perfect choice for any user who needs advanced speed, safety and reliability day in day out.